Beth FULL Release in Store Now! We’ve had many requests for a full release, so we are pleased to announce that we now have the full line of gorgeous Beth available in our main store! Beth comes in 10 makeups, each include: 5 brow options, cleavage layers, hair bases, blush, matte/gloss lips, freckles and ALL 7 skin tones (fair, pale, medium, sun kissed, tan, deep tan & mocha) per purchase! As always fat pack, shape and lip bundle are all available as well! This stunning new face is available exclusively at the Uber event. Jia is available in Pale, Medium and Sunkissed skin tones. There are 8 makeups to choose from with 5 brow options, hair base, cleavage, blush and matte/gloss lips are all included. Tess Available NOW @ Skin Fair! Tess is available exclusively at The Skin Fair. This new release has 10 makeup selections to choose from in 7 skin tones (fair, pale, medium, sun kissed, tan, deep tan and mocha) all included with your individual makeup purchase. PLUS; cleavage layers, hair base, matte/gloss lips and more! 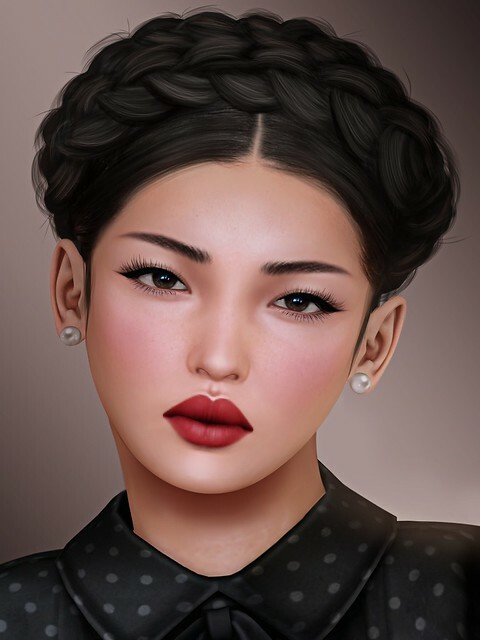 For your convenience you can try the Tess demos in our -Belleza- group inworld – just check the group notice history.